Children's Entertainer Videos "Pictures say a thousand words. Our videos say ACTION PACKED FUN!!" 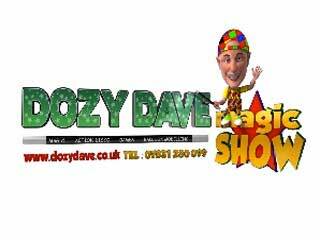 Dozy Dave MAGIC SHOW, ENQUIRE OR BOOK ! We have an enhanced DBS and PLI for £10, million. Click the links for details. Just click the image to open up our quotation form or make a booking.